The master cylinder is responsible for housing and distributing brake fluid to the calipers on a Slingshot. When the driver presses their brake pedal this forces the hydraulic fluid inside the master cylinder down the brake hoses, which forces the pistons inside the calipers to push the brake pads of the Slingshot against the brake disc of the rotor. This creates friction between the brake pads and the brake disc causing the Slingshot to slow and eventually stop. The catch is that when the brake pedal is pressed it creates a large amount of pressure within the master cylinder. Over time this pressure can gradually push the master cylinder forward, warping the metal it is mounted on leading to a displacement of the master cylinder within the engine. 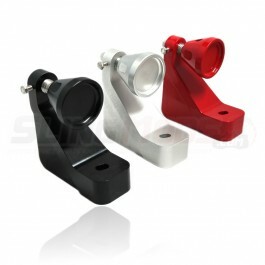 An affordable way to combat this is to install a master cylinder brace inside the Slingshot. This brace provides support for the master cylinder, which keeps it in its proper position helping to avoid a more expensive reconstruction later on down the line.